The Sims 4 for PC is a sandbox simulation game from Maxis that provides a different experience every time you play. It's an offshoot of the popular Sim City series that lets you throw different types of people, or sims, together, and see how they interact in your own little virtual world. When that gets boring, you can unlock a whole new way to play with some pretty powerful Sims 4 PC cheats. How Do Cheats Work in The Sims 4 on PC? Cheat codes for The Sims 4 on PC can give you more money, or even unlimited money, change a bunch of things about individual sims, and provide you with access to every item in the game. They can even do fun and weird things like replacing a sim's head with a salad bowl or couch, if you're looking for a quick laugh. Some cheats change something about an individual sim, like increasing or decreasing the sim's skill in a particular field. You can freely increase and decrease these numbers as you like. Other cheats toggle something on or off. These cheats all include on or true somewhere in the command. To toggle the cheat back off, you simply use the same command and replace on or true with off or false. 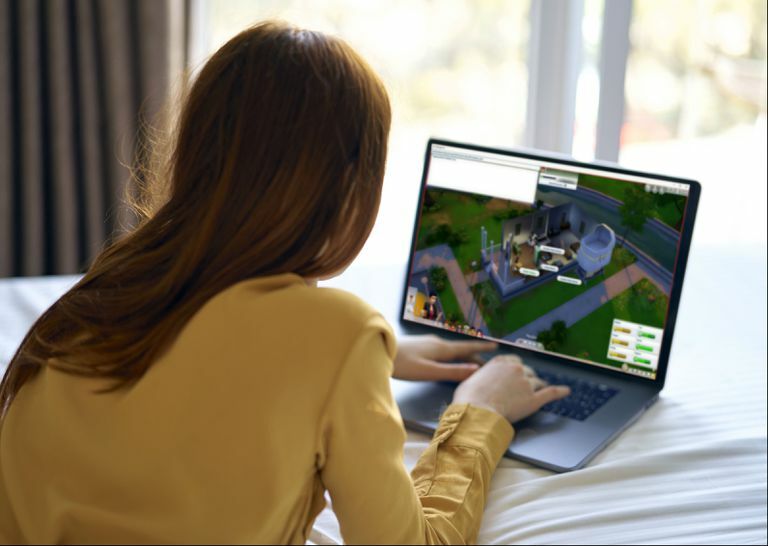 Cheats in The Sims 4 are created by the developer to aid in the testing and debugging processes, and they are intentionally exposed to players to offer fun, different experiences. In some cases, updates to the game can and do break certain cheats, and Maxis can also disable any cheat they like at any time. If you find that a cheat no longer works, you will have to wait to see if it is fixed in the next update, or look for a Sims 4 mod that fixes broken and disabled cheats. Before you can use cheats in The Sims 4 on PC, you need to enable them. This is accomplished by opening the cheat console and entering a simple command. Once you've enabled cheats, you'll be able to enter as many cheat codes as you like. Launch the game, and either load a save or create a new household. Press and hold CTRL, Shift, and C.
A thin box will appear at the top of the screen. Click in the thin box so that you see a cursor. Type testingcheats true, and press enter on your keyboard. When this process is completed successfully, you will see a message in the cheat console that says cheats are enabled. You can then enter any cheats you like into the cheat console. If the cheat console disappears, just press and hold CTRL, Shift, and C to open it back up. Some cheats are enabled with the on or true after the cheat code. These cheats can be disabled by using the same cheat code but typing off or false instead. You need money to get anything done in The Sims 4, so some of the most useful cheats are designed to boost your bank account. If you need some extra cash, known in the game as Simoleons, to buy a better house, deck your house out in some fun furnishings, or just cover the daily needs of your sims, you can enter the following cheats. Instantly grants 50,000 Simoleons. Type motherlode into the cheat console. Instantly grants 1,000 Simoleons. Type kaching into the cheat console. Type rosebud into the cheat console. Change your funds to a specific amount Type money into the cheat console, followed by the amount you want. Makes all available lots and houses free when used in the neighborhood view. Type FreeRealEstate on into the cheat console. Build Mode is how you change the furnishings in your house, build additions, and do a whole lot of other fun stuff. If you're feeling stifled by the way the game prevents items from getting too close to each other or overlapping, or you want instant access to a bunch of extra items, you can enter the following codes. You can also use these cheats to increase and decrease the size of any item for some pretty comedic effects. Allows you to place objects anywhere, even if they overlap. Type bb.moveobjects into the cheat console. Unlock all items that would normally unlock through gameplay. Type bb.ignoregameplayunlocksentitlement into the cheat console. Turns on the buy debug mode and adds extra items that you can buy. Type bb.showhiddenobjects into the cheat console. Allows you to edit the hospital, police station, and science lab. Note: Only works if you have the ​Sims 4 Get to Work expansion. Type bb.enablefreebuild into the cheat console. In The Sims 4, your sims can make friends, enemies, and even enter into romantic relationships. This can happen naturally, or you can prod things in the direction of your choice by giving orders to your sims. If that doesn't get things done quickly enough, we have some cheats that allow you to create instant friendships, mortal enemies, and romantic partners. All cheat codes that modify relationships between two sims follow this format: modifyrelationship sim1FirstName sim1LastName sim2FirstName sim2 LastName 100 RelationshipType. That is, you type the first and last name of one sim, the first and last name of a second sim, a number, and then the relationship type. If you entered that exact code into the cheat console, it would provide a large boost to the romantic relationship between the sims John Doe and Jane Doe. If you used a negative number, it would have a large negative effect on their romantic relationship instead. Introduces your sim to everyone in the neighborhood. Type relationship.introduce_sim_to_all_others into the cheat console. Spawns a new sim on your lot that is friends with the target sim. Type relationship.create_friends_for_sim into the cheat console. In The Sims 4, your sims can have a variety of skills that they develop slowly over the course of time. If you want to make a sim an instant impresario on the piano, or add a genius chef to your household, we have cheats that allow you to instantly alter the level of any skill in the game. All cheat codes that modify skill levels follow this format: stats.set_skill_level SkillName 10. That is, you use the stats.set_skill_level command, followed by a skill name, and then a number. If you entered that exact code into the cheat console, your currently selected sim would be instantly boosted to a fishing skill level of 10, which is the highest it can go. The Sims 4 on PC has several expansions, each of which has added new skills. If you have any of these expansions, you can use the following codes to alter the skill level of any of your sims. These codes are all used in the exact same manner as the codes in the previous section. If you entered that exact code into the cheat console, your currently selected sim would be instantly boosted to a baking skill level of 10, but only if you have The Sims 4 Get to Work. If you don't have the relevant expansion, the code won't won't do anything. In The Sims 4, children also have a basic set of skills that they have to increase before they grow up. If you want to give your kids a head start in life, you can use cheat codes to instantly boost these skills. All cheat codes that modify a child's skill levels follow this format: stats.set_skill_level SkillName 10. That is, you use the stats.set_skill_level command, followed by a skill name, and then a number. If you entered that exact code into the cheat console, your currently selected child sim would be instantly boosted to a mental skill level of 10, which is the highest it can go. Like children, toddlers in The Sims 4 also have their own unique set of skills. If you want to boost these skills, you can do so using the same exact format that you use for adult and child skills. All cheat codes that modify toddler skill levels follow this format: stats.set_skill_level SkillName 5. That is, you use the stats.set_skill_level command, followed by a skill name, and then a number. If you entered that exact code into the cheat console, your currently selected sim would be instantly boosted to an imagination skill level of 5, which is the highest it can go. Unlike adults and children, toddler skills cap at five for everything but potty training. Potty training caps at three. You can also use cheats in to change your Sim's career and give them instant promotions. Some of these careers are available in the base game, and others require an expansion. Promotes the sim in the specified career. Type careers.promote into the cheat console, followed by the name of a career, e.g. careers.promote painter. Adds the specified career to the selected sim. Type careers.add_career into the cheat console, followed by the name of a career, e.g. add_career entertainer. Makes the sim quit the specified career. Type careers.remove_career, followed by the name of a career, e.g. careers.remove_career astronaut. For each of these cheats, you can use any career code to add the specified career, make your sim quit their job, or give your sim a promotion in their careers. The Career The Cheat Code Expansion Required? Teens in The Sims 4 have a more limited range of potential jobs, but you can still use cheats to give your sim teen a new job, have them quit their job, or give them a promotion. The basic commands are the same as the adult career commands, but they use codes that are unique to teens. Like all the other cheats in The Sims 4, you type the code into the cheat console to activate it. If you entered that exact code into the cheat console, the selected teen sim would get the new career of barista. The Job The Cheat Code Expansion Required? Most of the cheats in The Sims 4 are activated by typing codes into the cheat console, but there are also a lot of interaction cheats that become available as soon as you turn cheats on. To use these cheats, you need to hold shift when you click on a sim or object to access the special cheat menu. Clicking any of the options in the cheat menu will execute the cheat. Type testingcheats true into the cheat console to make sure cheats are turned on. Press and hold the shift key on your keyboard. Click a sim or object. Click a cheat in the special cheat menu that appears. Allows you to completely modify any sim using the Create a Sim interface. Note: The cas.fulleditmode cheat must be entered into the cheat console first for this to work. Sim Reset Object Resets the sim. This is very useful if a sim gets stuck or glitched. Sim Add to Family Adds the sim to your household. Sim Remove from Family Removes the sim from your household. Sim Marriage Allows you to remove marriages. Mailbox Alter Need Allows you to modify the needs of the entire neighborhood, or just your household. Most objects Set as Head Replaces the sim's head with that object. Dirty object Make Clean Cleans the object. Clean object Make Dirty Makes the object dirty.